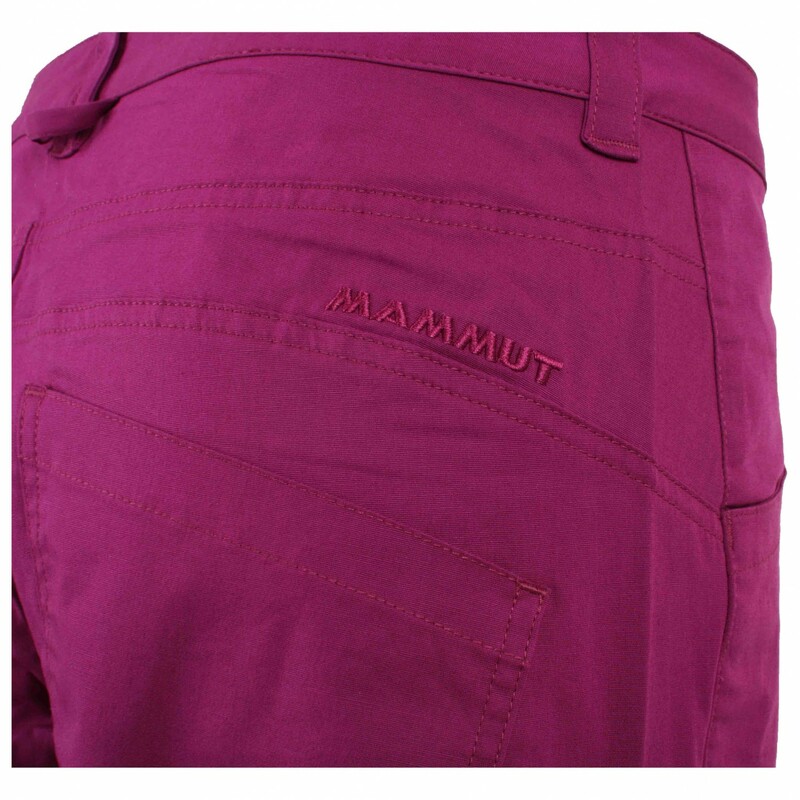 Designed for maximum range of motion when climbing - the Mammut Women's Climber Pants! The climbing trousers are made of pure cotton, making them both tough and soft to the touch. So not only will they be able to withstand constant contact with the rock, but they will feel great against your skin in the process! 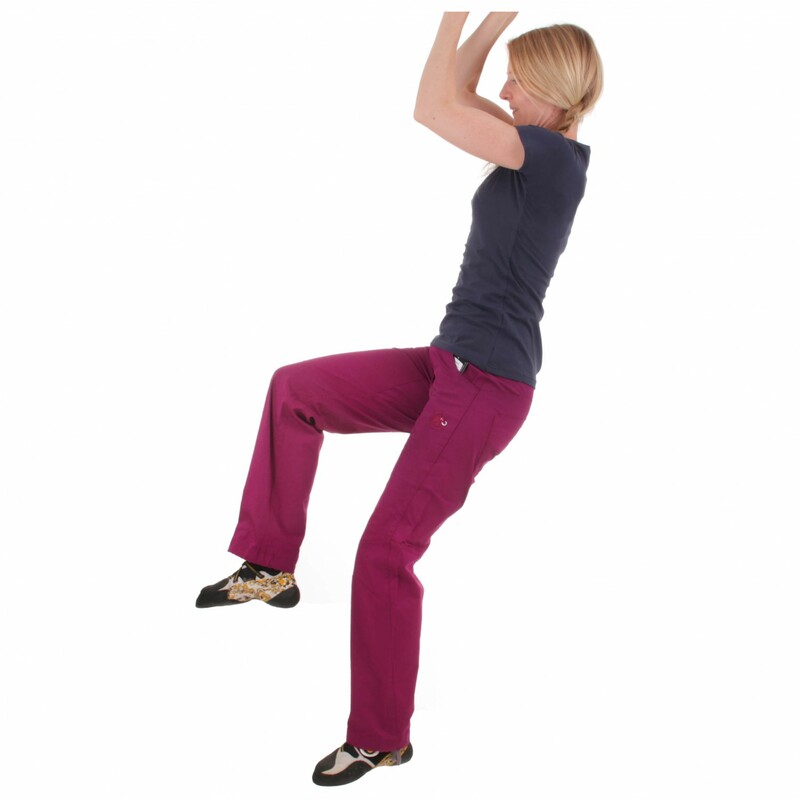 The unbeatable combination of stretch, a gusseted crotch and articulated knees will allow for maximum range of motion when climbing. The leg cuffs can be adjusted with a drawstring so that they won't obstruct your view of the next foothold. On the back of the trousers is a small loop for chalk bag. 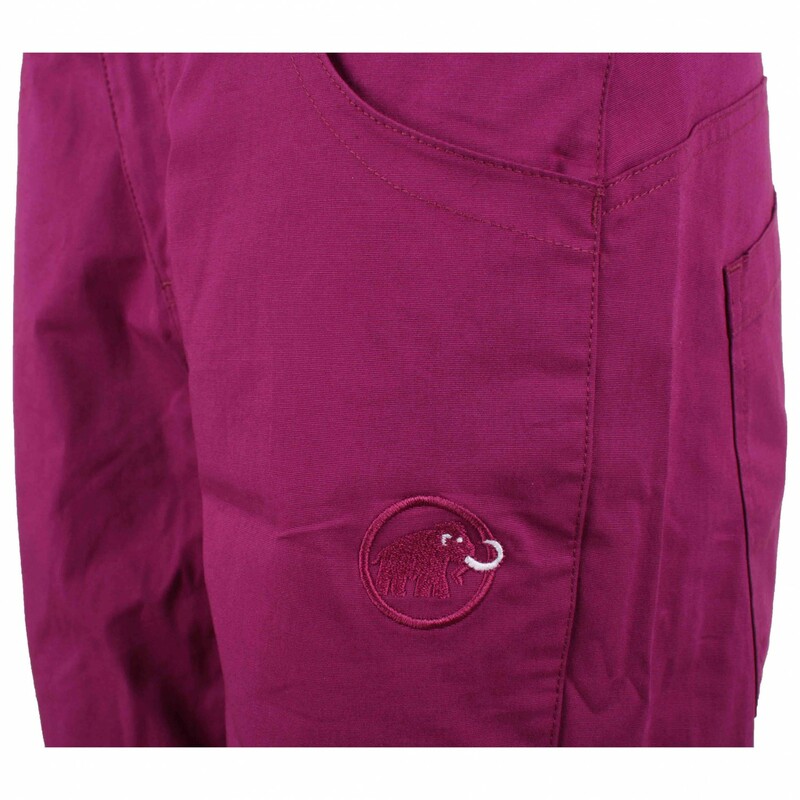 There are four pockets for storing all the small items, and the trousers have flat waistband, so no need o worry about it interfering with your climbing harness. 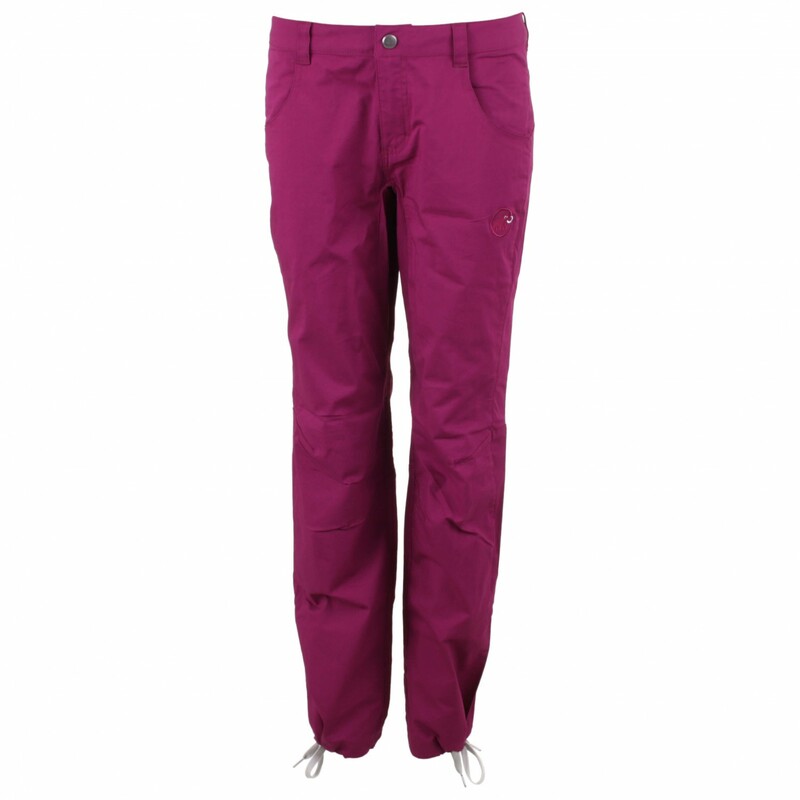 Last but certainly not least, the climbing trousers bear the bluesign label, which guarantees a sustainable and environmentally-friendly production. 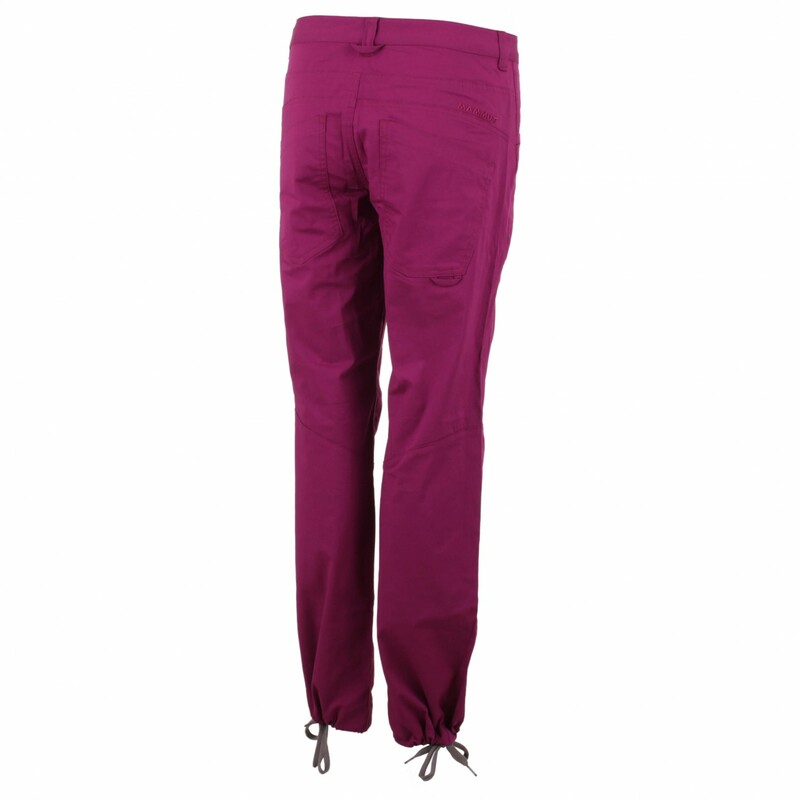 Regardless of whether you're bouldering, climbing or going about your daily life, the Mammut Women's Climber Pants are so comfortable that you'll hardly notice you're wearing them! There are 25 more threads!